Written as part encouragement anthem and part practical guide, Cultivate offers wisdom from God’s Word alongside lessons Lara has learned in her garden. 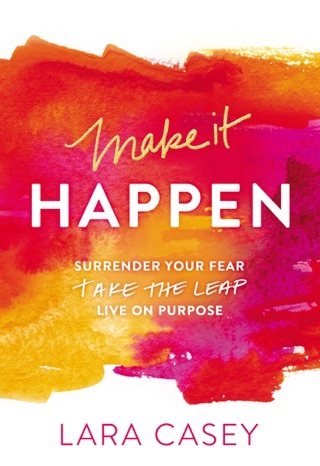 Woven throughout is her personal story that helps release readers from the pressure to achieve and gives them freedom to move from planning to planting a meaningful legacy. “It’s in the imperfect—the mess of the dirt--that good things grow,” Casey reminds readers. “Peonies grow through the dirt, and so do we.” Readers will learn to embrace the season they’re in, finding balance as they interact in fresh ways with their current life scenarios, with God, and in the communities where they are planted. I encourage everyone to read this book and to re-read it, no matter where you are in your journey. Lara hits home from the very beginning. "I was tired of living in a state of lack—lack of time, lack of peace, lack of confidence, and lack of meaningful connections with people. I was tired of working hard but feeling like it wasn't getting me anywhere that mattered. I needed a new way of living, from the ground up." "Instead of living for the short term and patching things to just get by, I thought about the long term. I committed to little-by-little progress instead of the all-at-once. I started to cultivate." I needed to hear these words. They were life-giving words, especially for a newly married 30-something like myself. I also love that this book is interactive, and not in a homework/study guide-way. It encourages me to write my thoughts down, however short and jumbled they might be. I encourage everyone to read this book and to re-read it, no matter where you are in your journey. We could all use a few tips to cultivate change and growth in our lives. 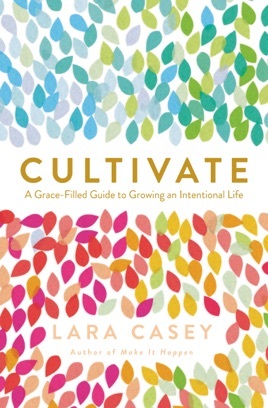 I loved “Cultivate” by Lara Casey!! Her book is a grace-filled and inspirational guide on living an intentional life, minus the perfection. The author shares her own life stories and biblical verses in a beautifully honest, humble, authentic, and heartfelt way. She takes you along her journey of seeking and finding God’s grace in the ups and downs, the messiness, in the seasons of her life. The book is laid out with thought-provoking and soul-searching questions for the reader to ask themselves, to help them see into their own life journey. “Cultivate” is a book you can keep rereading and never tire of. Each time I have reread sections I gain more wisdom and insight. The self-reflection sections are wonderful to do over again in different seasons of our lives, because they are always evolving. This is a book you will not be able to put down because it speaks to all those weary places in your soul. I felt so blessed by Lara Casey’s writing and faith-filled inspiration. Her raw honesty and life stories are spoken in authenticity and faith. Lara's insight and sensitivity alongside her transparency, make this a wonderful read. She shares from her heart about growing in faith and love and trust. I loved getting to know her and her story while deep truths hit my heart and changed me. There's a definite blessing for anyone willing to cultivate their faith beside Lara.